The purpose of the consultancy is to support CDGP communications by providing graphics design and layout services. CDGP is a five-year pilot programme supported by UKAid. It is aimed at tackling poverty and hunger and reduce malnutrition in children in Jigawa and Zamfara states in Northern Nigeria. 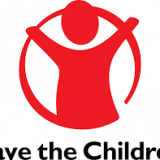 Save the Children is leading the INGO consortium delivering the programme, in partnership with Action Against Hunger (ACF). The CDGP will run to July 31st 2019. The CDGP provides a Cash Transfer grant of 4,000 NGN (approximately £14) per month for up to 90,000 pregnant women and women with children under the age of 2 in Jigawa and Zamfara states. The cash transfer is accompanied by nutritional education, advice and counselling. The predictable monthly cash transfer is expected to contribute to increased food security, improve intake of more nutritious food, leading to improvement in child nutrition within 90,000 households. More broadly, the programme aimed to generate evidence of a scalable programme that shows how a well-designed cash transfer programme, targeted at the critical First 1,000 Days of a child’s life, can bring cost-effective immediate and long-term food security and nutrition benefits to eligible households with young children. CDGP is seeking the services of a qualified consultant to design, layout and embellish programme documents such as research reports, in infographic formats. The main purpose of the consultancy is to enhance the quality and readability of CDGP communications materials through graphic design. Deliver creative graphic and technical solutions (including infographics if required) for print, electronic, web-based and animated presentations. The consultant will work on a 14-day basis (through April and May 2019), as and when his/her services are required. Besides the preparatory phase meeting, the consultant is expected to work remotely. All work is to be delivered electronically. A consultancy end-of-assignment report outlining activities undertaken and achievements is to be submitted at the end of the period, by the consultant. The graphics design consultant will work under the direct supervision of the Knowledge Management Adviser and overall direction of the National Programme Manager, CDGP. Experience working with international development agencies is an asset. The consultant will work on a daily basis, as and when his/her services are required. Payment will be made upon satisfactory completion of the consultancy.